I got this recipe about 20 years ago when my husband was working in the hospital cafeteria. There, they had the BEST chocolate cookies...I couldn't get enough of them! I finally asked for the recipe and I shouldn't have been surprised. It called for 48 eggs and 36 cups of flour! Duh! After dividing it a few times and making adjustments for not having baking chocolate on hand, this is what I came up with. 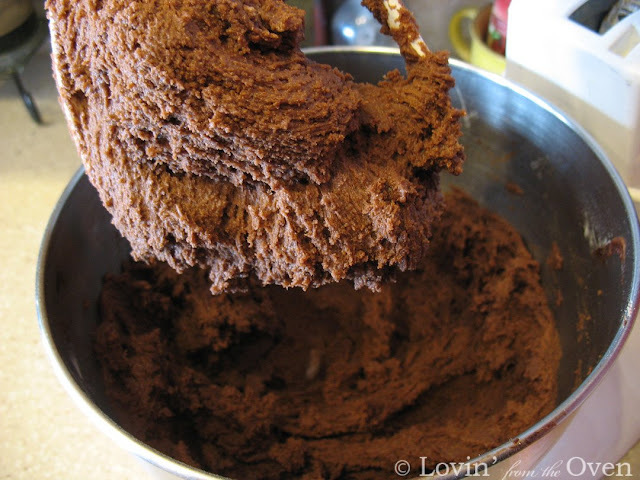 The recipe originally called for baking chocolate. I substituted cocoa and added butter and oil. I melt this over low heat and remove it when the butter is almost melted. I put the sugar and eggs in my mixing bowl and cream thoroughly. 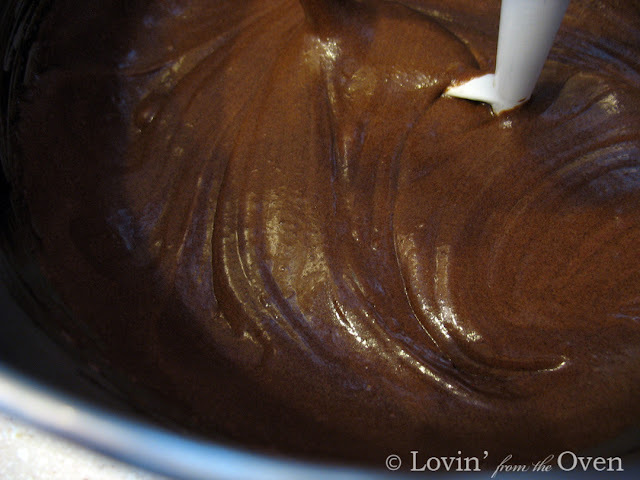 Then I sloooooowly pour the melted chocolate into the egg mixture (you don't want to cook the eggs) while the beater is going. Oooooh....this is so smooth and creamy...I could eat it now. 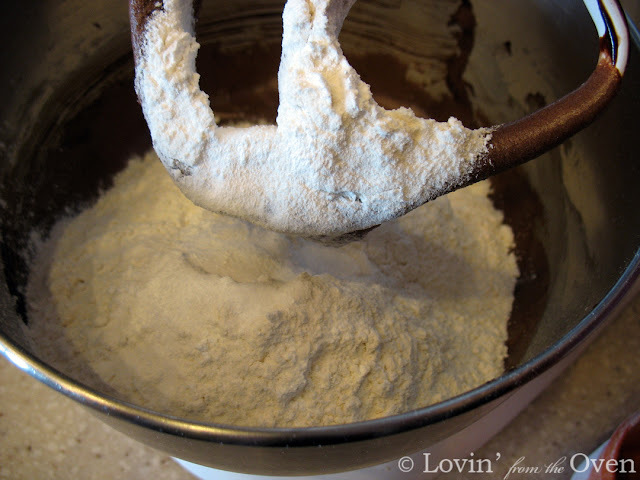 I mix in my flour that has baking powder and salt stirred in. Don't dump the entire 3 cups in....you'll get sprayed with flour as soon as you turn on the mixer! This is how your dough should look. It is a very thick, sticky dough. That is why we need to refrigerate it. I just scrape the dough down into the bowl and cover it with plastic wrap. 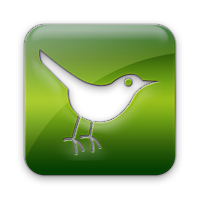 Walk away for at least an hour. Yes. Walk away. Now. After your dough is chilled, I use my trusty 2T. 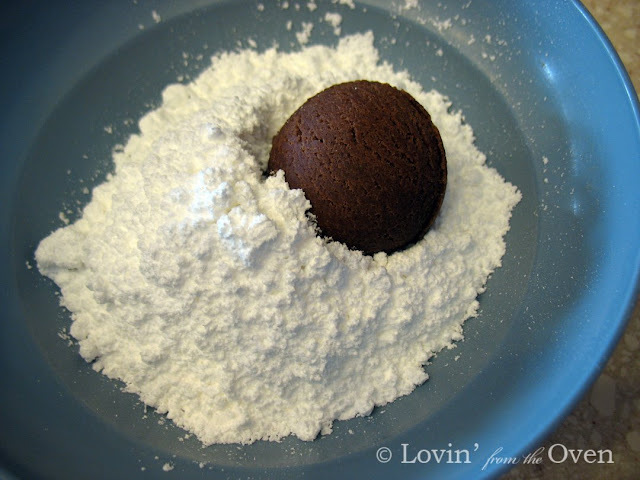 cookie scoop and drop a shaped cookie into powdered sugar. Get your kids involved....or grandkids....or the neighbor kids. 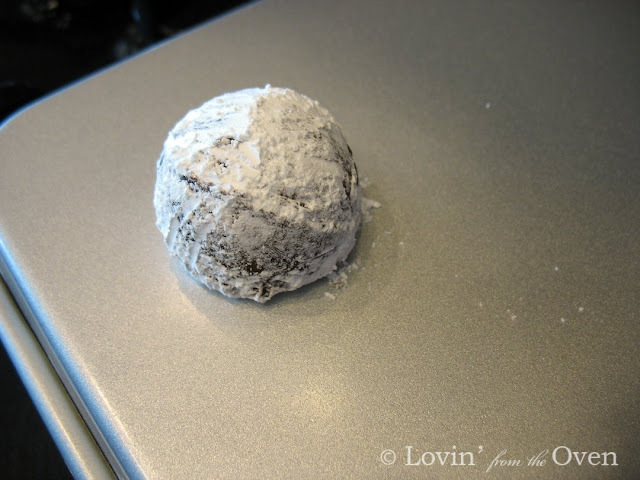 Use your hands to cover the dough with powdered sugar. I've tried everything else to avoid this....using forks, spoons, whatever. I always come back to using my hands. Oh, in case you're wondering, I use the bottom of my cookie sheets because it cooks more evenly...especially with a convection oven. 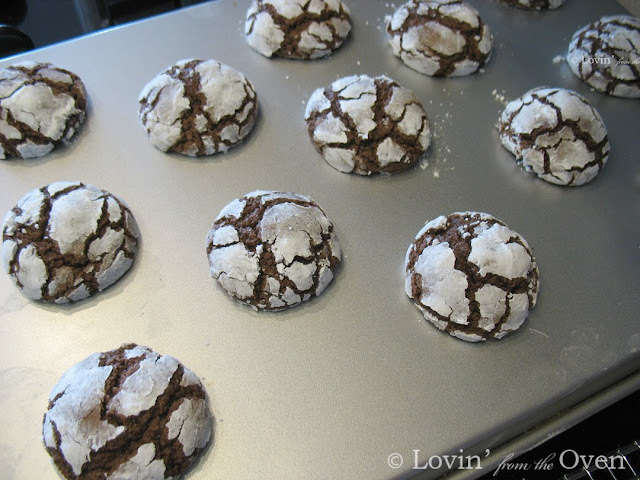 The cookies are done when the 'cracks' are dry and the tops spring back when touched. I let my cookies cool on the baking sheet...it helps the centers set. Gotta put it on a pretty good lookin' snowman. Try this with a glass of milk. Next time, I'm gonna put chunks of walnuts in them and eat them all by myself! 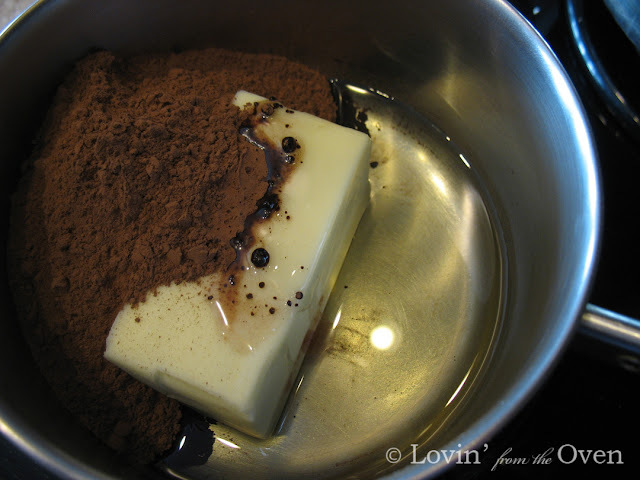 In a heavy saucepan, melt butter, oil, and cocoa over low heat. Remove from heat. 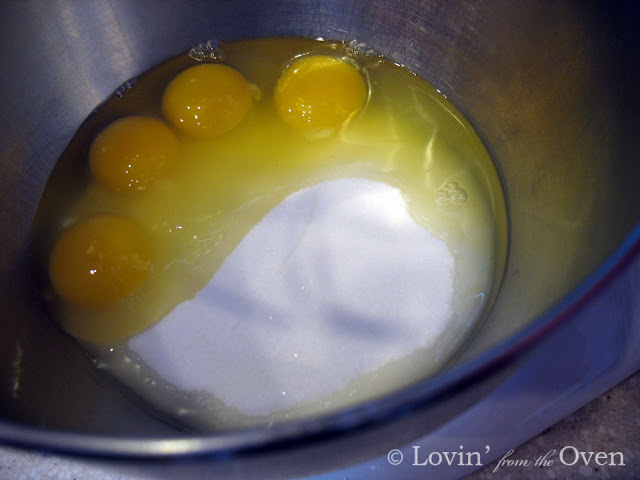 In a mixing bowl, combine eggs and sugar. 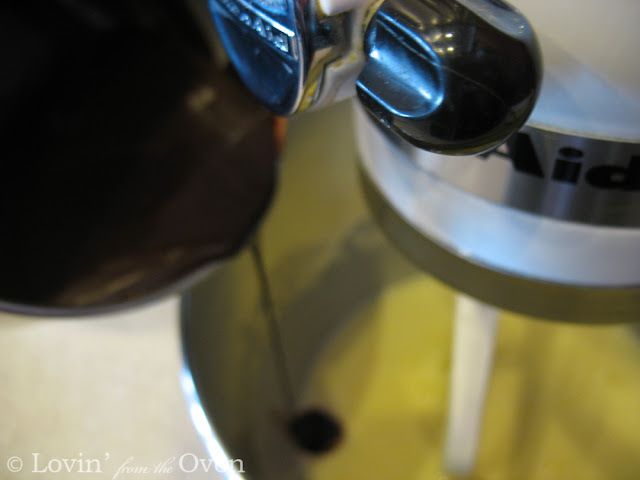 Gradually drizzle chocolate mixture into egg mix. Sift together flour salt and baking powder. Add to egg mix. Stir in walnuts. Chill dough in fridge for at least 1 hour. 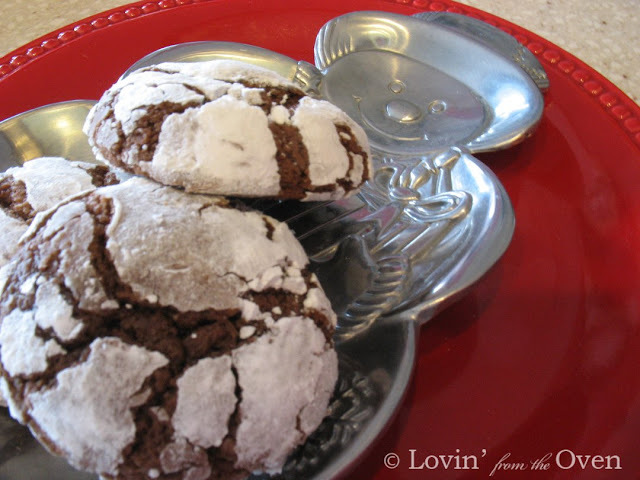 Shape cookies using 2T cookie scoop and then roll in powdered sugar. Place on greased baking sheet. Bake in 375° oven for 13-15 minutes. 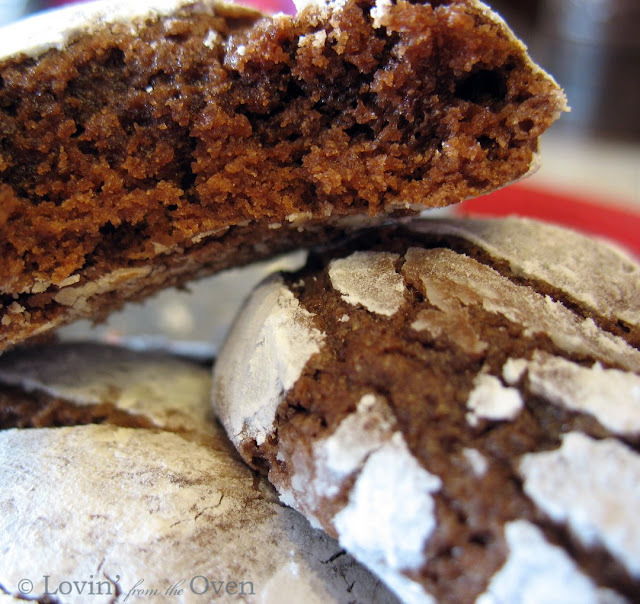 Cookies are done when ‘cracks’ are dry and tops spring back when touched. Cool on baking sheet until set. Next time when you put walnuts in them, add some chopped dried apricots and some semi sweet chocolate chips too. YUM! 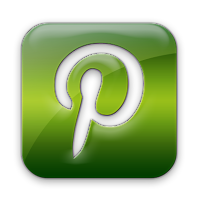 looks great and i've been meaning to make some myself. 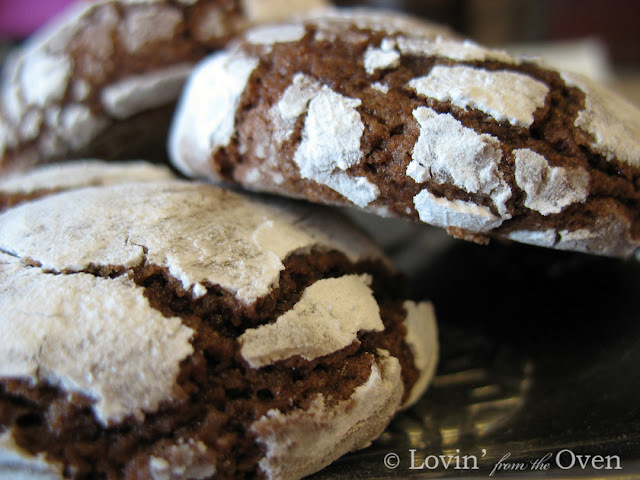 Mmmm...these were good, the kids loved them too - thanks for the recipe, Frieda!